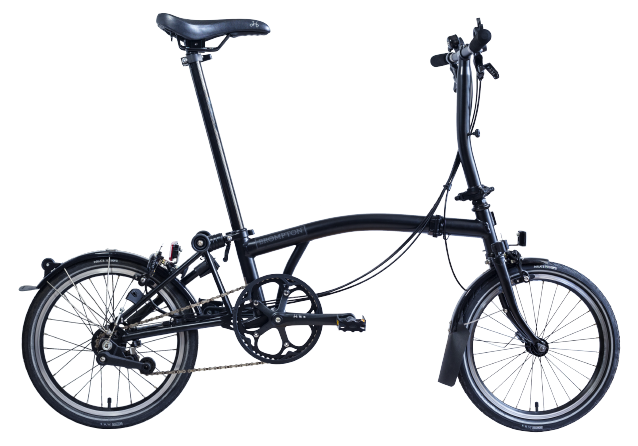 Four years ago, one of Britain’s most successful and influential cyclists David Millar, the man behind the CHPT3 brand, met with Brompton CEO Will Butler-Adams. 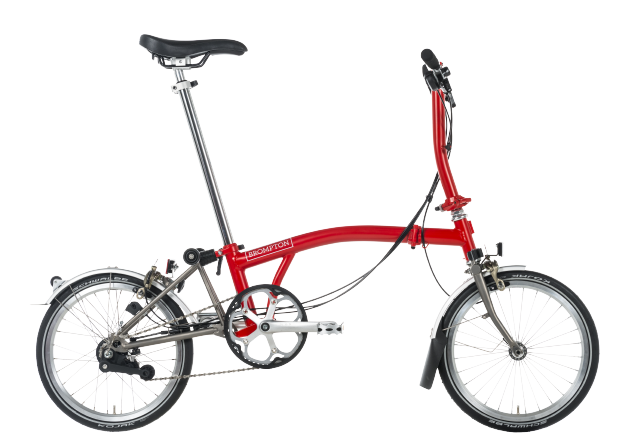 David expressed that he rarely used a bike in the city, only for training and competing, so the conversation turned to what would be the best Brompton for a die-hard ‘roadie’, not a pastiche but a bike that was lightweight, stripped-down, dynamic to ride but useful day to day. 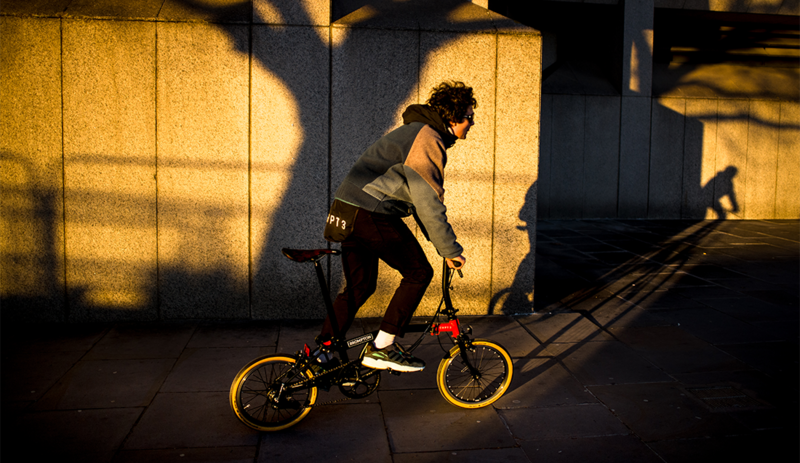 That conversation kick started the collaboration and was the moment the idea for the Brompton X CHPT3 was forged. 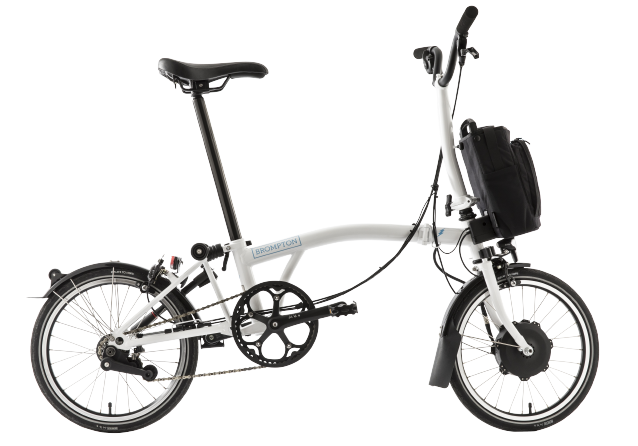 Now, 2019, the new Brompton X CHPT3 has arrived and the page has been turned. WHAT MAKES THE CHPT3 SPECIAL? Maintaining the aesthetic of the original, with the fire red front frame but now combined with a textured black finish, making the bike more purposeful and distinct from Black Edition. High-performance specification with some unique features. 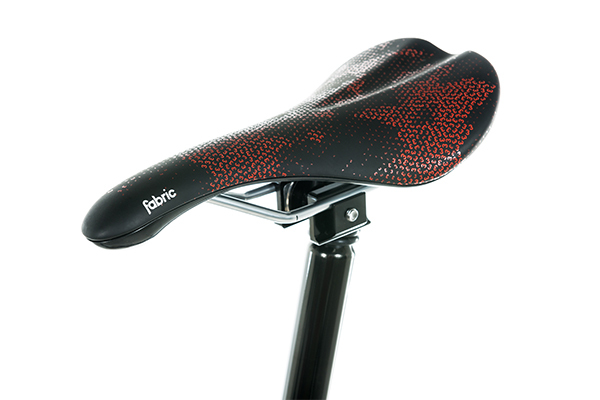 Offering exceptional performance and designed to suit your riding style. Extremely light, durable yet comfortable, the Fabric Scoop is designed exclusively for Brompton and features the Devesa print, inspired by the home of CHPT3, Girona. Click here to read the back story. Stay in control with the lightest lock-on grip in the world. 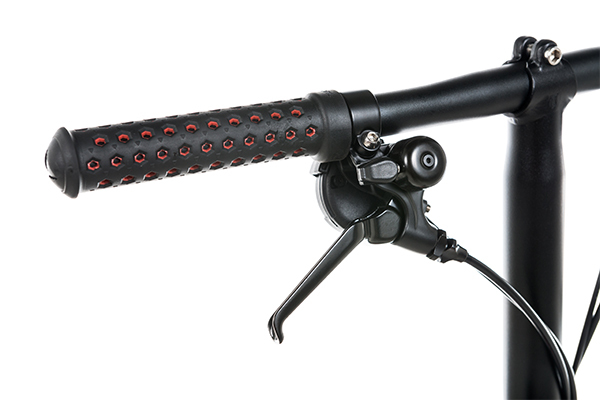 Dual texture kraton rubber sleeve, in red and black, over a perforated lightweight core. Maximum grip with or without gloves. 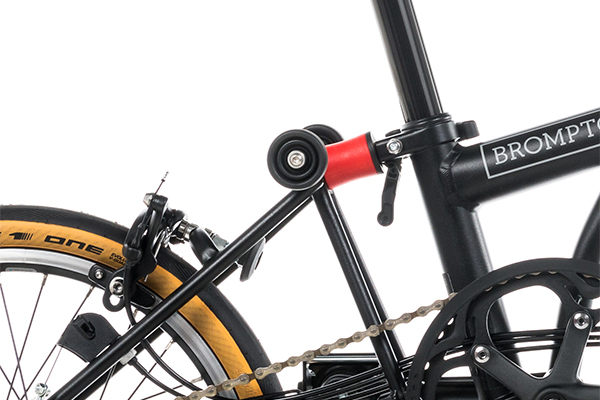 The fastest tyres ever made for a Brompton. 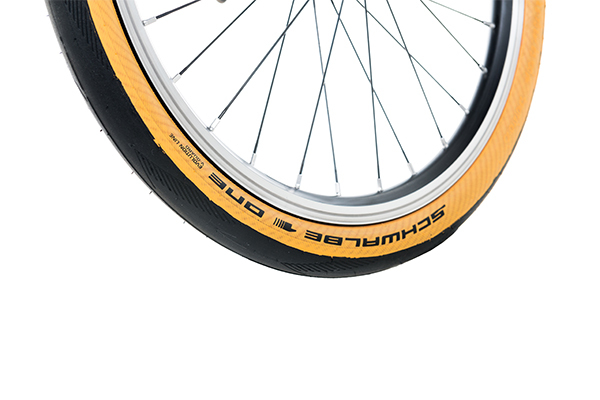 The new 35mm (width) Schwalbe One offers low rolling resistance whilst retaining a high level of puncture protection by utilising extremely cut-resistant high-tech fibre. The stunning Tan wall colour sets off the unique CHPT3 look. The extra firm rear suspension block paired with the Schwalbe One tyre provides sharp, responsive rider feel. Ideal for carving up the city streets with precision. 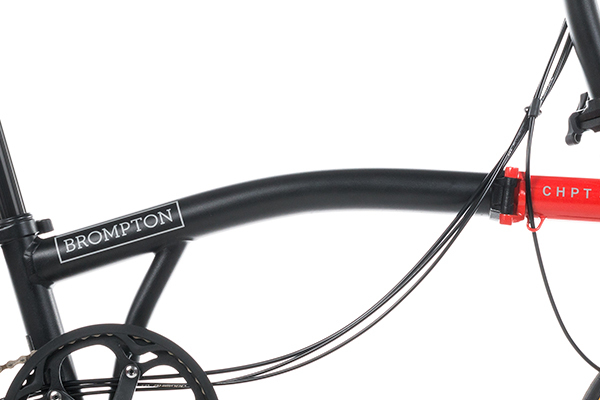 Textured Black main frame and handlebar stem, as well as Textured Black titanium rear frame and front fork. Light, fast and durable. Complimented perfectly by CHPT3’s signature Fire Red on the front frame. Pre-order now by visiting your nearest store. “The Parc de la Devesa sits on the very edge of Girona's centre: laid out and planted in 1,850 it covers 40 hectares with 2,500 plane trees and serves as the respiratory organ for Girona. The trees rise above 60m, making them the tallest in Catalonia, offering the sensation of being in a natural cathedral. Returning from training rides, the first glimpses of the Girona old town come through the trees of the Devesa, it serves as the final geographical marker - imprinted in the mind to signify completion. If someone can't see the wood for the trees it's means they can't understand a situation clearly because they're too involved in it. Cycling is like that, especially modern cycling, all the data at your fingertips. It's part and parcel of being a cyclist.